It’s been a while since you’ve had a vacation with the entire family. A trip where you can spend some quality time with your children before they go off to college, or even a nice holiday with your kids coming back from their break from college. It won’t be too long before they leave the nest entirely and you see them only during the holidays. One excellent idea for a holiday is a road trip for your entire family and we have the best road trip ideas for you guys. If you don’t own a car, its nothing to fret about as there are plenty of affordable car rental services that will be glad to help you out. New Zealand is as picturesque as a place can be. It’s so beautiful in fact that Peter Jackson shot most of the mystical land of the ‘Lord Of The Rings’ in New Zealand. While enjoying the lush nature of New Zealand the best thing you can do is relax and take in the view and there is no better way to do it than while driving along the South Island Circuit in New Zealand. We won’t be surprised if you find your entire families in awe of nature as you drive from Te Anau to Milford Sound. Arguably the best part of the entire route. If you’re not a native of New Zealand, don’t worry, you can easily find several car rental services in the area. 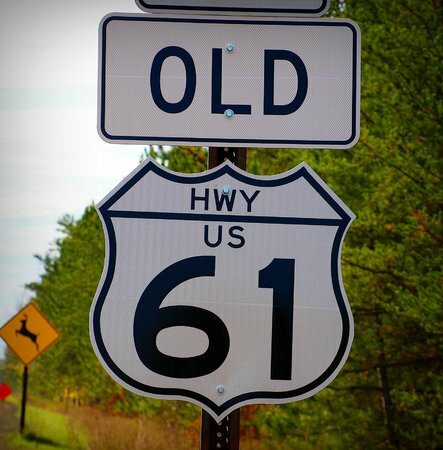 If you’re looking for a musical kind of road trip there is none better than the Highway 61 in the United States. A drivers dream, this 2300km stretch of pristine highway goes all the way from Wyoming to New Orleans, Louisiana. You’ll also be accompanied by the great Mississippi River for most of the way too. Take in all the sights and follows the blues to where they take you. There are plenty of interesting views on the way that make for excellent pit stops. If you’re looking for a quick road trip, might we suggest the 8.3 km stretch of bridges between Molde and Kristiansund? While it may be the shortest road trip on this list, it is also the most exciting. The bridges themselves are a marvel of modern engineering, and from a few spots you can even view seals, whales and other marine mammals say hi. We hope you enjoyed our short list of the best places to travel by car. Whether you decide to take your own vehicle or use a car rental service, keep the entire family involved. Make them a part of the decision making process for a smooth and pleasant holiday. Have a good one.